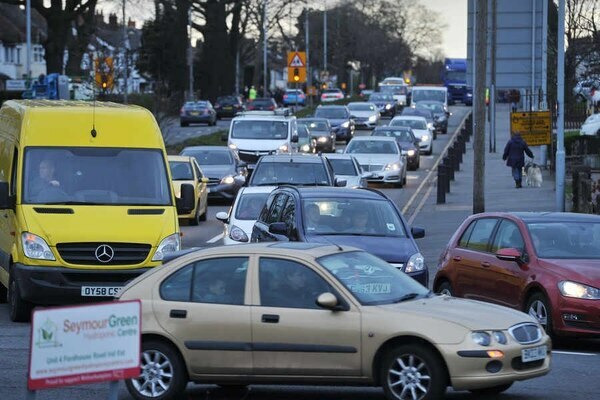 Drivers in Wolverhampton are facing more road work misery as further improvement works to the A449 Stafford Road start today which will see a 'significant number' of trees cut down. The latest round of works will take place along the road between M54 junction two and Springfield Lane. The main works include the reduction of the existing central reservation and the western service road verge. 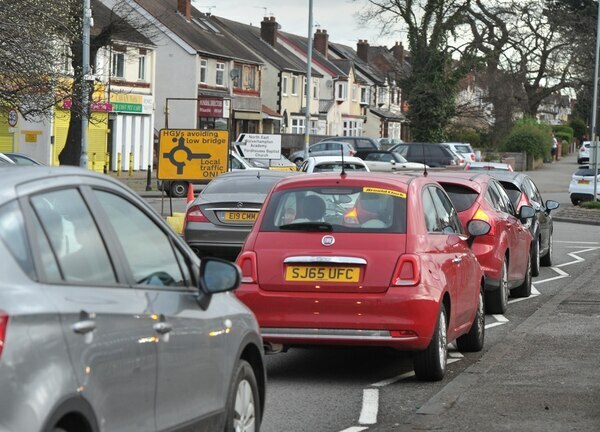 Morning rush hour traffic, along the A449 Stafford Road, near Three Tuns Lane, Wolverhampton in March this year. This phase will run until Christmas 2017 and will involve lane restrictions on both sides of the carriageway from 9.30am to 3.30pm, Monday to Friday. According to the council, the work will mean the loss of a significant number of mature trees. To compensate for this, Wolverhampton council is asking for residents and businesses to help identify suitable alternative locations for new landscaping and tree planting in the local area. 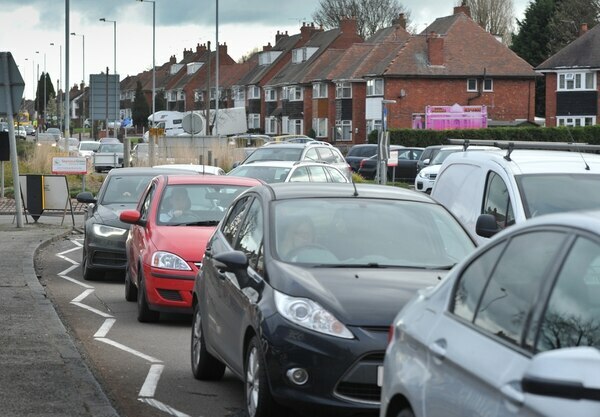 Councillor Wendy Thompson, leader of the Conservative group at the council, said: "Having these works from 9.30am to 3.30pm is not the right the time for this busy stretch of road. These works should be done during the late evening when traffic is not as bad. 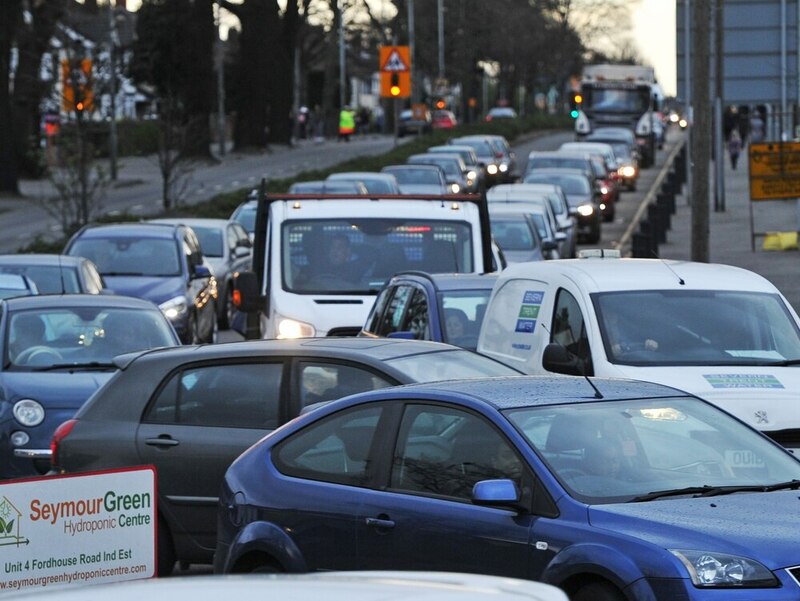 "Not only that, having a significant number of trees cut down will have a big impact on the people that live around there as well as commuters. "The council should be making people's journeys into the city as pleasant as possible, not adding to the disruption." The roadworks form part of a £6.4 million city gateway scheme aimed at supporting job generation and business growth. The scheme, which began earlier this year, provides access to major employment sites, including i54, Wolverhampton Business Park, and the junction two employment area. It is being funded by the Black Country Local Enterprise Partnership 'Local Growth Fund' and follows a six-month consultation with nearby residents and businesses. Councillor Steve Evans, cabinet member for city environment, said: "Our highways improvements programme is making a big difference to the transport network in the City of Wolverhampton. "The Stafford Road Area Action Plan (AAP) and the emerging South Staffordshire Site Allocation Document (SAD) present significant opportunities for improved and additional employment land along the A449 corridor and to the north of the city, including the next phase of development at i54. "It is vitally important the road network matches those ambitions and supports businesses and jobs growth in the area. "We have been working closely with businesses and residents to ensure we deliver a scheme that benefits everyone and, as always, we will aim to minimise disruption." The scheme hopes to deliver additional right turn lanes to improve safety and reduce delays, increased vehicle capacity at junctions, improved traffic signals, pedestrian crossings and cycle routes. It also aims at reducing traffic noise by using low-noise road surfacing and introducing control measures in certain residential areas to prevent commuter parking. It is expected the project will be completed in spring 2019. During construction, nearby businesses and residents are being advised to contact Eurovia Public Liaison Officer Joanne Plews with any enquiries on 07768 940187 or email joanne.plews@eurovia.co.uk.